Here is everything you need to know about the final rule that was published in the Federal Register on November 9th 2018. Read the full ruling here. There is no more requirement that certification be by capacity. Certification must be by type (or it can be by type and capacity) and it is up to the accredited certification organization to define type. The final deadline for certification is December 10, 2018. Employers must pay for the cost of certifying their current employees, regardless of when they were hired. In addition to certifying operators, employers must also qualify them on the specific equipment they are running (this is the biggest and most important change to the regulation). After extensive comment from stakeholders, OSHA realized that certification alone is not enough. Certification establishes a baseline of knowledge and skill, but operators must then be observed and evaluated on the specific equipment they run and the type of tasks they are doing, and that evaluation must be documented and made available at the work site. Must be an employee or agent of the operator-in-training’s employer. If you are a one-person operation, or a small employer without the in-house expertise to have your own trainer, you can hire someone outside of your organization. Must have the knowledge, training, and experience necessary to direct the operator-in-training on the equipment in use. Note that your trainer does not have to be a certified operator. Must be in direct line of sight and continuously monitor the operator-in-training, without doing anything that would detract from their ability to observe. The trainer can take short breaks as long as they last no longer than 15 minutes and are no more often than one break per hour. Before taking a break, the trainer must tell the operator-in-training exactly what to do during the break and what the limitations are, and must make sure these tasks are within the trainee’s ability. These performance-based evaluations are meant to be more directly focused on the operator’s ability to perform assigned work than the general knowledge and skills tested during the certification process. These are task- and equipment-specific, and the operator must demonstrate “the skills and knowledge, as well as the ability to recognize and avert risk, necessary to operate the equipment safely, including those specific to the safety devices, operational aids, software, and the size and configuration of the equipment. Size and configuration includes, but is not limited to, lifting capacity, boom length, attachments, luffing jib, and counterweight set-up.” The evaluation should also include specific activities that might be required such as blind lifts, multi-crane lifts, and hoisting personnel. 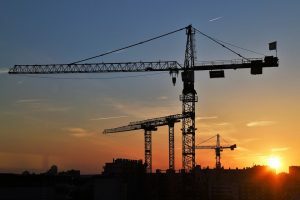 Employers do not have to evaluate their operators in every possible configuration of equipment or combination of configuration and boom length, etc., that would factor into a crane’s capacity. Additional evaluations are only required when the operator’s existing skills, knowledge, or ability to identify and avert risk are not enough for that operator to operate the equipment in a new model or configuration. If you have already evaluated an operator prior to the effective date of the new rule, you can rely on that evaluation as long as it’s documented. However, employers cannot rely on the evaluations of previous employers; you must conduct your own. The documentation of evaluation must include the operator’s name, the evaluator’s name, the date of the evaluation, and the make, model, and configuration of the equipment on which the operator was evaluated. But the documentation does not need to be in any particular format. You have the flexibility to capture this information using your own existing systems. The employer must also provide re-training in relevant topics for each operator when there is an indication that retraining is necessary. Triggers for re-training might include feedback from an onsite supervisor or safety manager, contractor, or other person who observed that the operator was operating equipment unsafely; an OSHA citation; a crane near-miss; or any other incident that indicates unsafe operation of the crane. The deadline for operator evaluation is February 7, 2018. Any operator not certified and evaluated by then is considered an operator-in-training and must be monitored. The information included in this publication and accompanying materials was obtained from sources believed to be reliable for informational purposes only. Northern Safety Solutions/Kinney Pike Insurance and its employees make no guarantee of results in connection with any training, materials, suggestions, or information provided. This information is only a tool to assist you in managing your responsibility to maintain safe premises, practices, operations, and equipment. All sample materials serve as a guideline, which you can use to create your own programs, policies, and procedures to reflect your own operations. Furthermore, it cannot be assumed that all possible hazardous conditions or unsafe acts that may exist are covered, every acceptable safety method is contained in this publication, or that specific circumstances may not require additional methods or alternative safety considerations. It is the user’s responsibility to confirm compliance with any applicable local, state or federal regulations. Information obtained from or via Northern Safety Solutions/Kinney Pike Insurance should not be used as the basis for legal advice or other advice, and should be confirmed with alternative sources. Implementation of any practices suggested by this information is at your sole discretion; and Northern Safety Solutions / Kinney Pike Insurance or its affiliates shall not be liable to any party for any damages whatsoever arising out of, or in connection with, the information provided or its use.